Most of the cars that we use today have engines with a four-stroke design that utilizes three kinds of fluids – combustible air fuel, coolant, and motor oil. Now not any of these fluids must ever come into contact with each other. Hence, we have the head gasket. It is responsible for ensuring these fluids are properly routed in the engine without having to mix with each other. 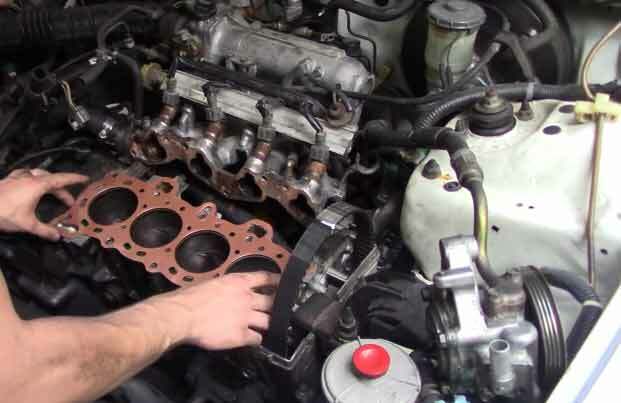 Knowing how important your head gasket is, it just goes without saying that having a worn, damaged, or blown one is simply not good for your vehicle. Thus, it’s but essential for you to know right before it gets really ruined. As your leading cash for cars company, you’ll be pleased to hear from us that detecting you have a blown head gasket can be pretty simple, even for car owners who aren’t really mechanically-inclined. As our team of expert car wreckers, car removalists, and auto recyclers have come up with a simple guide on checking your head gasket, all you have to do is read up and learn everything you’ll need to be able to diagnose your vehicle on this problem. Contaminated Engine Oil – if your engine has oil that’s contaminated, it sure is a sign that your head gasket is blown and has sprung a leak. To easily check this, carefully inspect your oil cap. If you see a milky or foamy ring around the cap, it means your oil has been mixed with the coolant. 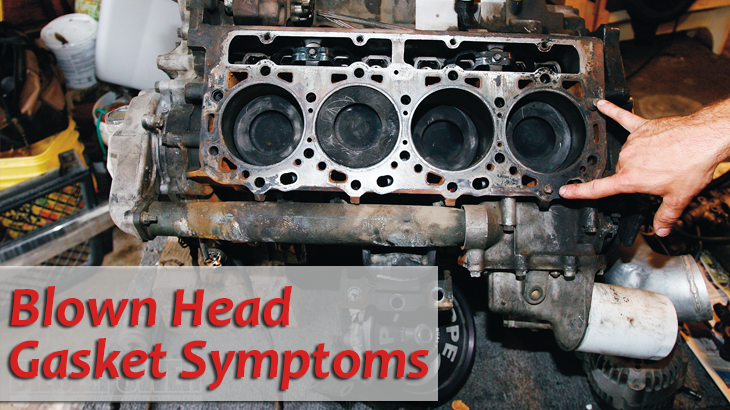 Engine Misfires – if you notice your engine has been unresponsive or considerably slow to respond, you may be faced with a blown head gasket. This will cause your engine to experience a loss in compression. And when the problem escalates, it’s a probable cause for overheating – that you don’t really want to happen. Radiator Issues – Once your head gasket is blown, causing leaks, air bubbles would be able to find their way inside your radiator. Now to really check if there are air bubbles, do this: safely remove your radiator cap and then give your car’s engine ample time to warm up. Then, rev your engine a few time. If you see air bubbles emerge after rev-ing up, then you’d have to attend to your blown head gasket immediately. Faulty Exhaust – Your exhaust system could actually give you many indications of a blown head gasket: water leaking from your exhaust pipe, sweet smell coming out of your vehicle’s exhaust, or white smoke coming out of your tailpipe. When you see any of these signs, then immediately replace your head gasket before problems escalate. Tinted Spark Plugs – once you see a greenish color on your spark plugs, then most likely your head gasket has caused it. In the same way, if you notice that the some coolant is sprayed out from your spark plugs’ holes, then it’s a red flag for your head gasket. Let’s all be honest. Most of us car owners usually neglect signs like these because of the expenses that await us (just in case we do find out the problem). However, we must also admit that whenever we do this, it’s actually causing us more dollars to shell out, in the future that is. In other words, if you neglect the signs of a blown head gasket (which your car is clearly showing you), and you continue driving, it will eventually lead to a more serious car trouble. Thus, more hefty expenses for you. It could cause severe damages to your radiator, heater, and catalytic converter, among others. Plus, it will most definitely cause some serious damage to your whole engine. In conclusion, once your beloved ride exhibits such signs and symptoms, never turn a blind eye. Instead, attend to it immediately. That is the only way where you can avoid further engine damage and of course, bigger repair expenses. So once even just a simple sign appears, address it promptly and avoid using your car until the head gasket has already been fixed. Are you looking for Melbourne’s leading car buyers because you want to get the most cash out of your car that’s been damaged for so long? Then search no more and opt to work with Rapid Car Removal. Because we have been buying used cars in Melbourne for more than 20 years now, many clients have already entrusted us with their beloved rides. Not only do they enjoy top cash for cars (regardless of their age and condition), but they also get to take advantage of our fast, free, and convenient car removal services. So if you want that for yourself, don’t hesitate now, and speak with our friendly staff today! Previous Graduating High School this Summer and Not Interested in College?